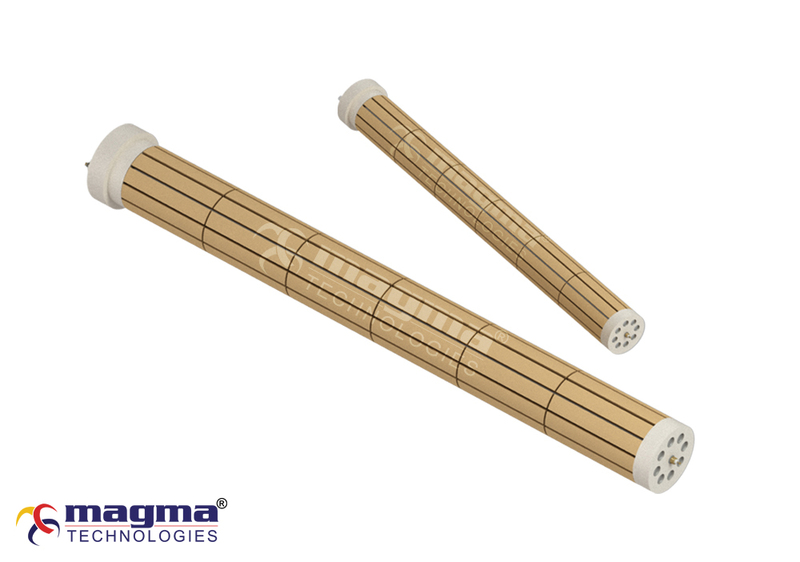 MAGMA bobbin heaters are made from mixture of ceramics such as cordierite, steatite etc. and also made from High Purity MgO Bobbins. 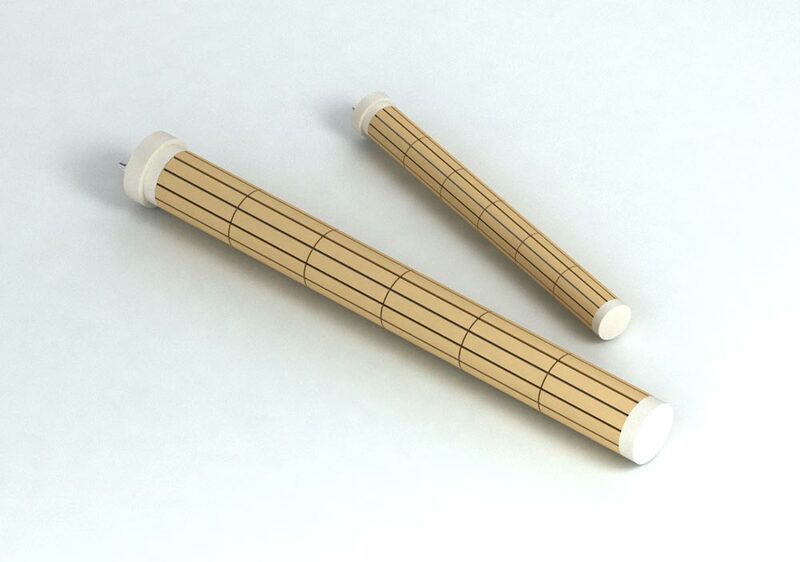 These bobbins are interlocked with each other up to desired length and wattages, made with sheathed and without sheathed material and also with mounting flanges if required. As per application sheath material is selected which ranges from nickel plated mild steel, copper , nickel plated copper to all grades of stainless steel. It consists of 80 / 20 nickel chrome resistance wire supported on refractory insulators with terminal block on one side for supply connections. 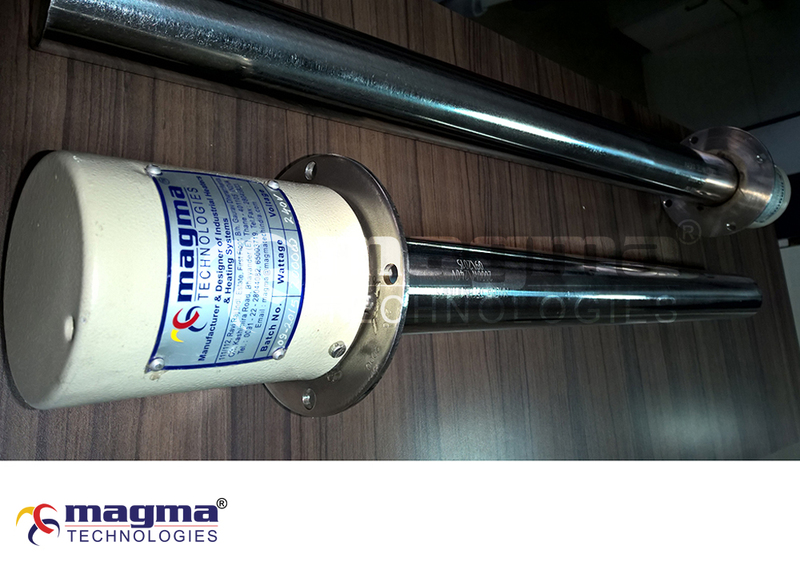 MAGMA Bobbin heaters are ideal solutions to heat oil, wax, fats and bitumen at low surface temperature to prevent product degradation or to change its chemical properties. These heaters when inserted in thermo well offer large heated area to the content whether liquid or semi-solid is to be heated. The best feature of this heater is it may be removed or replaced without draining the contents from the vessel. Bobbin heaters have excellent physical, thermal & electrical properties. Due to its low watt density design on the casing of the pipes, it has longer life of the elements. These heaters are so versatile that it can be designed in any liquid tank heating application. 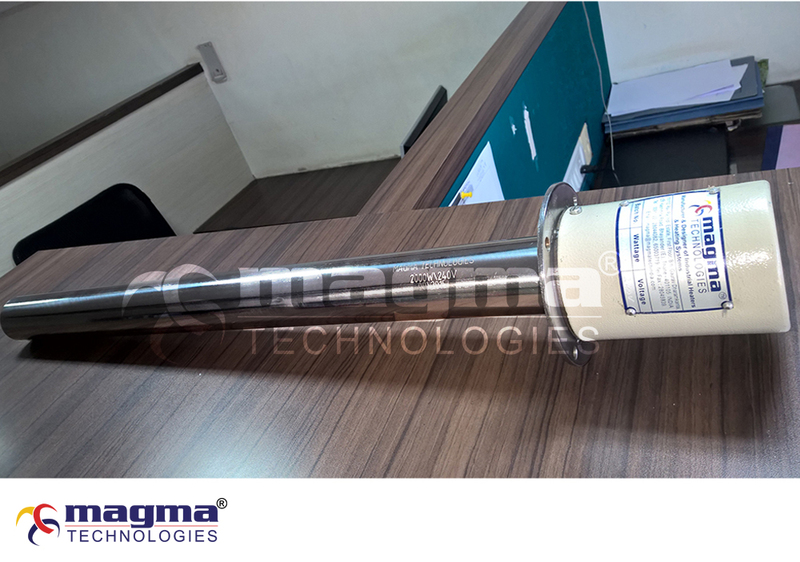 MAGMA manufactures bobbin heaters of any voltage and wattage within manufacturing and engineering limits. As per project demands these heaters are normally manufactured for horizontal mounting, but may be specifically designed for vertical installation. This type of heating is simple and low cost installation.